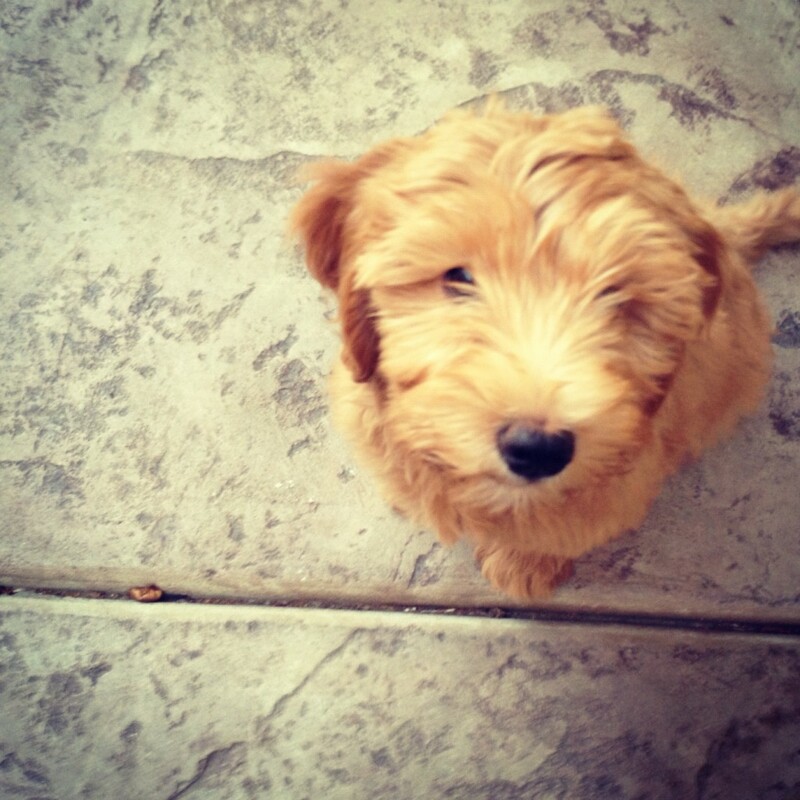 Are you considering getting a new puppy? While I thought we were completely prepared before we brought Allie home, I quickly realized that there were so many things that I never anticipated. You will track your puppy’s bowel movements with the same diligence you employed when your babies were newborns and poop and pee will once again become two of the most popular words to leave your mouth. Your right arm will grow freakishly strong from throwing your new puppy’s toys 3,492 times a day. You will let your puppy kiss your face and you will be only slightly grossed out when she kisses you directly on the mouth. You will have very little time for anything not listed above, but will cling to the hope that, as so many people have told you, it gets easier with time. 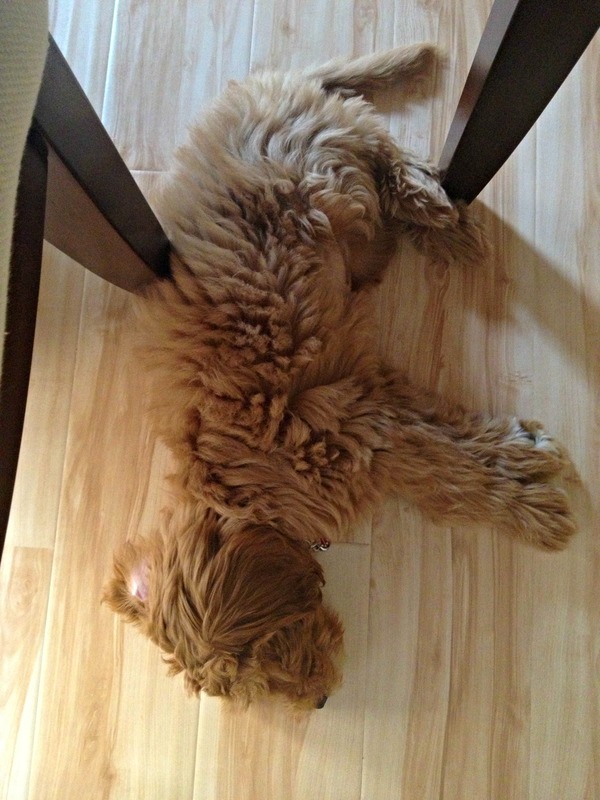 You will trip over your new puppy at least 828 times a day. Where you go, she goes, and she’ll always be directly under your feet. You will no longer need socks or slippers. Puppies are the perfect foot warmers. 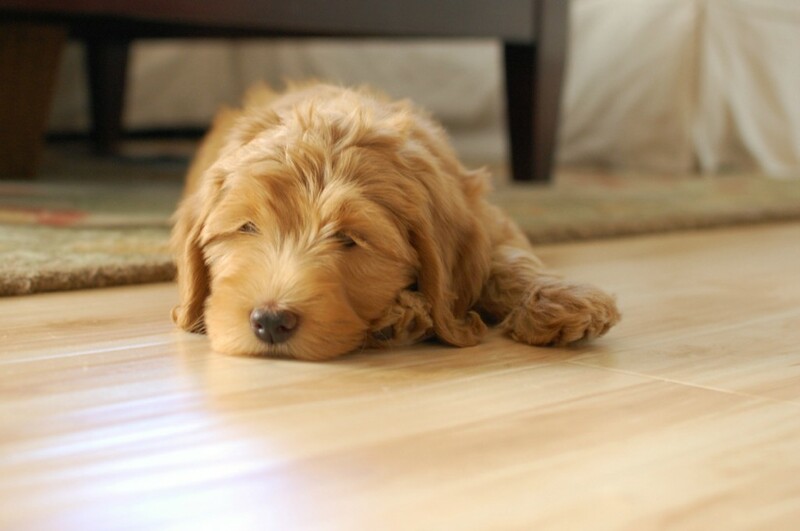 Your puppy will either be running around like a complete maniac or passed out cold. There simply is no in between. 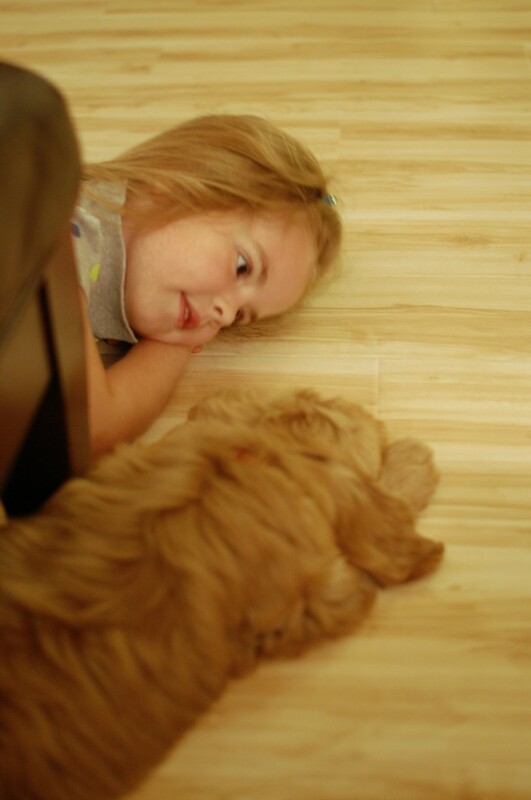 You will fall so completely in love with your new puppy that you will have a difficult time remembering your life before she joined your family. 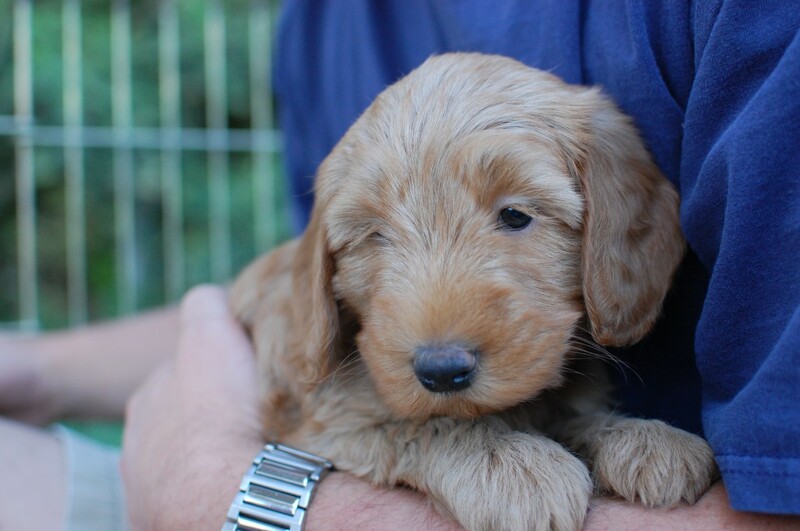 If you’d like more information about Double Doodles, Labradoodles or Goldendoodles, I can’t recommend our breeder, Sierra Vista Labradoodles, highly enough.  They continue to impress us with their knowledge, responsiveness, professionalism and kindness. 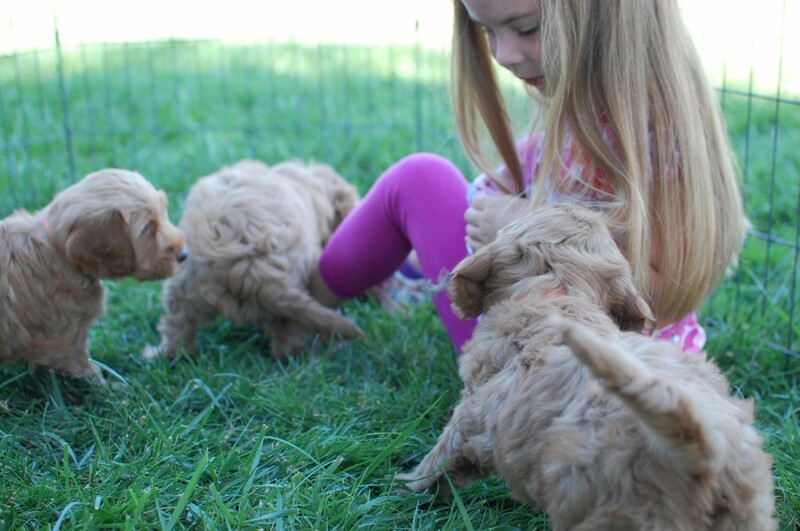 You can see current litters by visiting their puppy page. 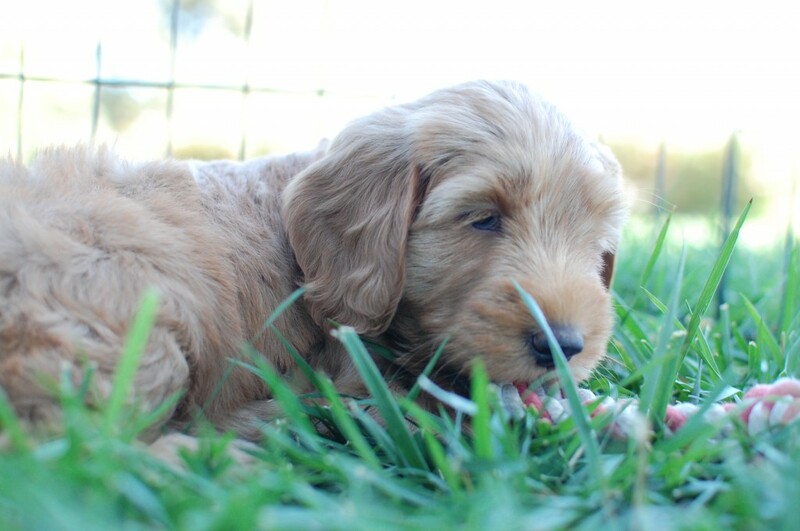 We finally brought our double doodle puppy home on Saturday. I feel like a new mom, here only to give you a status update because that’s all I can find time for. We’re so happy to introduce you to Allie, our new 8-week-old baby. She’s incredibly affectionate and so impossibly sweet. She slept like a champ last night. We put her to bed at 10:00 and she slept until 5:15 with no accidents. Although she isn’t a fan of her crate yet (more suggestions are welcomed), she’s been a rock star with the potty training. We’ve had just one accident since we brought her home. 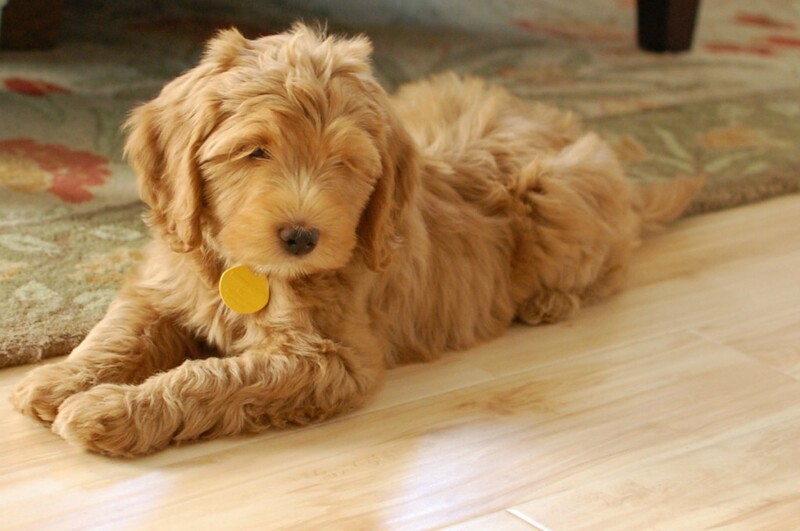 If you’d like more information about Double Doodles, Labradoodles or Goldendoodles, I can’t recommend our breeder, Sierra Vista Labradoodles, strongly enough. They continue to impress us with their knowledge, responsiveness, professionalism and kindness. 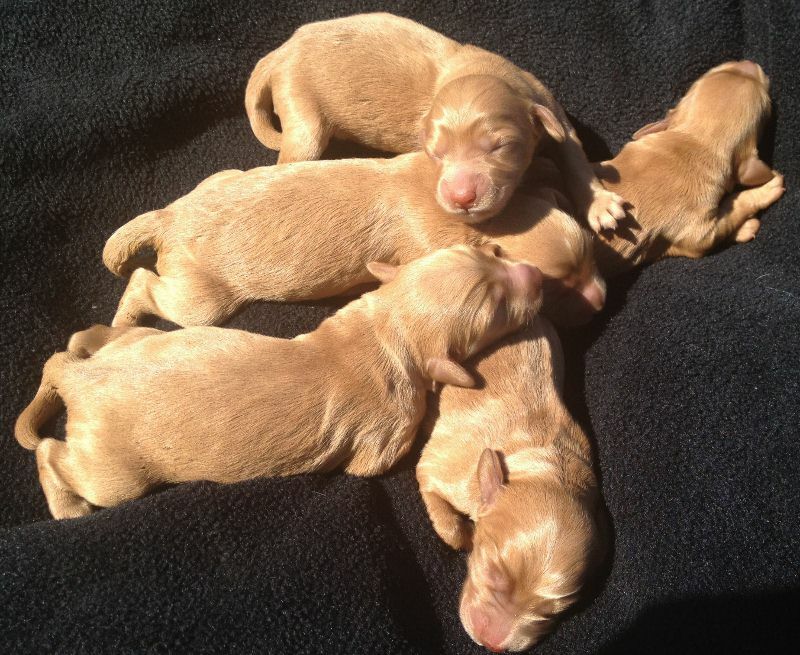 You can see current litters by visiting their puppy page. 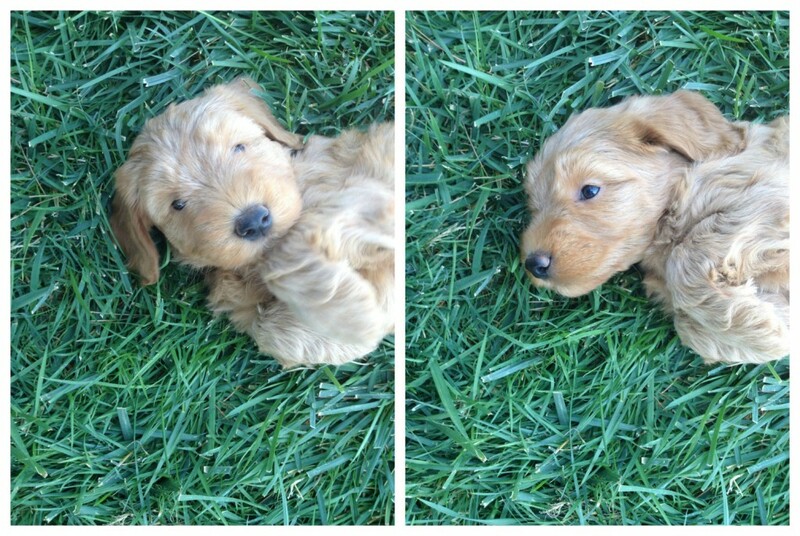 After weeks and weeks and weeks of waiting, we finally met our new puppy today. She is simply divine…and we are head over heels in love.